Why study abroad in Copenhagen? 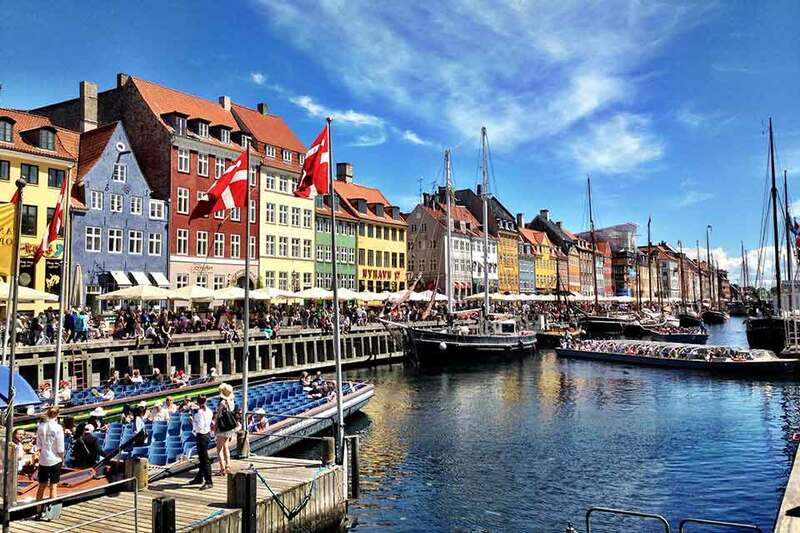 Brandeis in Copenhagen is an intensive, business and economics-focused summer program in Copenhagen, Denmark, once deemed the happiest nation in the world. This program will deepen your understanding of business practices, economic theory and policy from U.S., Scandinavian, and European perspectives. Additional non-academic related excursions focus on creating a deeper understanding of contemporary life and culture in Denmark. The program consists of three courses, students will select two, taught in English and is a collaborative exchange program between Brandeis University and DIS Copenhagen. Yes, the program runs from early July to the middle of August. There are pre-departure orientations in the spring semester prior to the summer of study. Students wishing to go to Copenhagen during the academic year should meet with a member of the study abroad staff for other options. The Summer 2019 deadline is Thursday, March 7, 2019, but interested students are encouraged to apply early. With rolling admissions, applications are reviewed up until the deadline as long as space is available. Are Brandeis faculty involved in teaching in Copenhagen? The program is designed and supervised by Brandeis faculty. A Brandeis economics professor will teach one of the courses and instructors from DIS Copenhagen will teach the other courses. How do the classes taught in Copenhagen count for my Brandeis degree? All courses are Brandeis courses and appear on transcripts as graded Brandeis coursework, not transfer credit. Where can I get more information about Brandeis in Copenhagen?